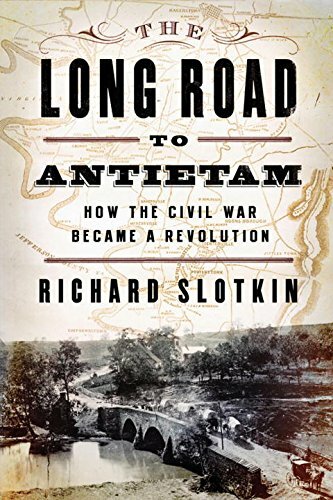 Antietam has been called the 'bloodiest single-day battle' in the whole of the American Civil War. 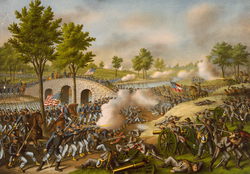 Also known as the Battle of Sharpsburg, it was the first major clash fought on Union soil. 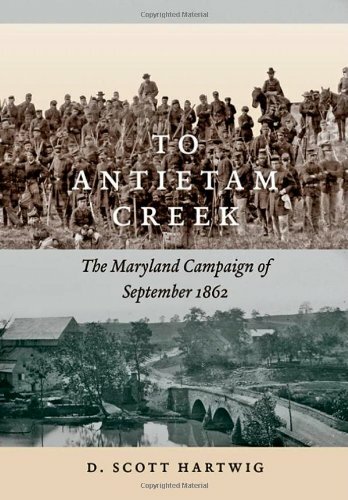 The fighting had crossed into Maryland, where the Confederate and Union forces met between the town of Sharpsburg and Antietam Creek. Over 23,000 people were killed, injured or went missing on that horrific day. September 17th 1862 will never be forgotten in the area. Least of all, it seems, by the ghosts who were left behind. 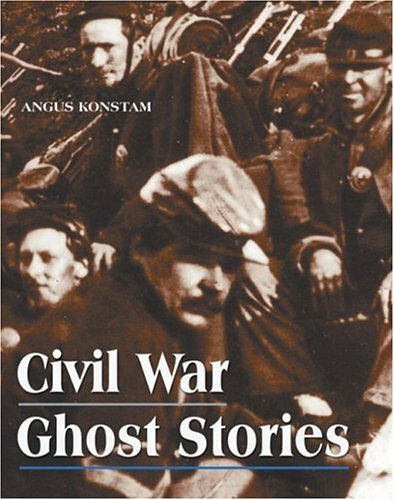 After he retired, this Sharpsburg man began collecting local eye-witness accounts of ghost sightings around Antietam. He self-published his book aged 77 years old. Are grey-clad soldiers from Georgia still trying to hold the bridge over Antietam? Or are the dead trying to find their way home on the road to Sharpsburg? One of the most iconic locations of the Battle of Antietam is Burnside's Bridge. If you need a long-shot, so your reader or viewer knows immediately your location, then that is the landmark to snap. The waterway it crosses is Antietam Creek. It's this which gave the battle its name. On September 17th 1862, a division of Confederate soldiers from Georgia held it against all comers for hours on end. Their stubborn bravery meant that the entire XI Corps of the Union army were stranded on the wrong side of the creek. Each time Major General Ambrose Burnside ordered his troops to take it, snipers from Georgia would pick them off from the higher ground above. Though Burnside did eventually take the bridge, which now bears his name. The delay had been long enough for Major General Ambrose Powell Hill's Confederate army to move up from Harper's Ferry. The Federals rushed headlong into the Rebel lines and were soon repulsed back across the creek. The casualties were naturally high in this area. But it was also a strip of land compulsory purchased by the US government immediately after the battle. The fields around Burnside's Bridge became the site of 23,000 hurriedly dug graves for the dead on both sides. This was (and remains) the most deadly day in American history; and the bodies are all there. It's hardly surprising therefore that this bridge is the location of so many stories. Blue lights are seen at night, crossing back and forth over it. Shouts, screams and moans have been heard in its vicinity. 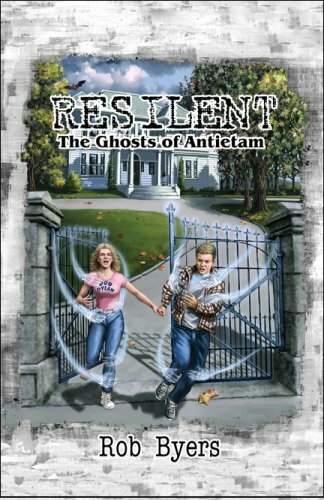 For all that, it's nowhere near the most reputedly haunted area of Antietam National Battlefield. That dubious honor belongs to the Sunken Lane, now called Bloody Lane for all that happened that day. Two rangers at Antietam National Battlefield describe what happened in thirteen hours of America's most bloodiest day in history. "When anything absurd, forlorn, or desperate was to be attempted, the Irish Brigade was called upon." Journalist during the American Civil War. 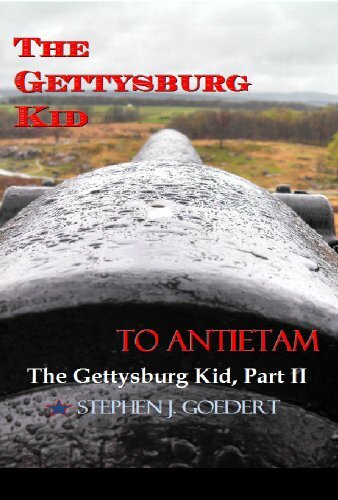 Like any famous area of historical significance, Antietam attracts school parties. There probably isn't a school-child in Maryland, who hasn't been escorted by their teacher around the National Battlefield. This was certainly the case for the group of ten-year-olds from McDonna School, in Baltimore, who embarked from their coach for a field trip. Once the guide was through, their teacher allowed them to wander off in groups. Not too far away. But enough to discover things for themselves, then report back. It's not like they couldn't all be seen. From the ridges you can see for miles all over Antietam Battlefield and beyond. That was kind of the point in 1862. Your average ten-year-old has a very active imagination. It's easy to dismiss any talk of encountering ghosts. It's not so simple to explain how an American child can suddenly speak Gaelic. Not that this bunch of excited boys were talking about ghosts. They thought they'd heard a re-enactment taking place somewhere close to Bloody Lane. "It was like the carol!" One boy gushed. "Tra-la-la-la-la!" He was singing the refrain to Deck the Halls. But he wasn't pronouncing it like those tuneful lyrics. It was more like 'Fa-ah-bal-lah'. Nor had the voices they'd heard been singing. They were distant shouts, which grew nearer. Chants from the field near to the tower at the end of the sunken farmer's lane. All of the boys had heard them. They could chant it back in unison now. It was the teacher and ranger listening to them who had grown cold. They knew their history. There was a glance and a shake of head. No. There were no re-enactors on the field that day. No obvious modern source for the sounds at all. But there was a supernatural one. No war is fair, but for the men of the Irish Brigade, life dealt them a cruel blow. They were almost completely made up of recent immigrants, who hadn't even properly sampled the country they were fighting for. Fleeing from persecution, destitution and starvation at the hands of the British, they'd survived the coffin ships crossing the Atlantic to the USA. Who can imagine the hope and the sigh of relief they emitted, at the sight of the Statue of Liberty? But upon landing in Manhattan, the men were separated from their families. 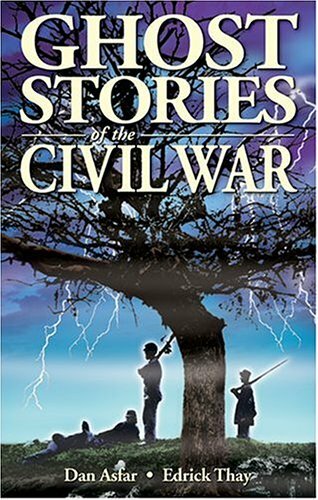 While the women and children were released into the slums of the Five Towns, their husbands, brothers and fathers were handed a uniform and marched away to fight in the American Civil War. The Irish Brigade - or the 69th New York Volunteer Infantry - tended to be sent into situations which were desperate at best, and often complete lunacy. Like the position of the Union soldiers, dying in their droves in Bloody Lane. It was the Irish Brigade, coming over the ridge and charging into the melee, which saved the day. They must have known that they were going to die. The corpses already lay high enough to cover most of the ground before them. The American Dream was over before it began for 60% of the Gaelic speaking immigrants charging down that lane. They never made it out again. Yet still they charged, each one screaming their Gaelic language battle-cry. It translated as 'clear the way'; it was Fág an Bealach, Anglicized so often as Faugh a Ballagh. It was pronounced 'Fa-ah-bal-lah', just as the Baltimore school boys recited. 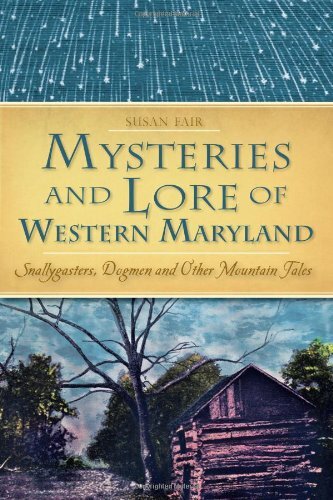 Discover more strange encounters on Antietam and further afield, as retold in these books about paranormal and mysterious Maryland. Sometimes re-enacting American Civil War events can go way too far. It takes all kinds. Some ideas just happen. They are proffered as a laugh or a dare. Or someone comes up with it, then everyone else eggs them on, each too worried about looking like a killjoy to stop it happening. Thus it was that a group of Confederate Civil War re-enactors thought it might be a great idea to camp for the night in Bloody Lane. No tents or anything. Just a gang of men, in their grey uniforms, lying under the stars. It was warm enough. The inspiration was easy to pinpoint. 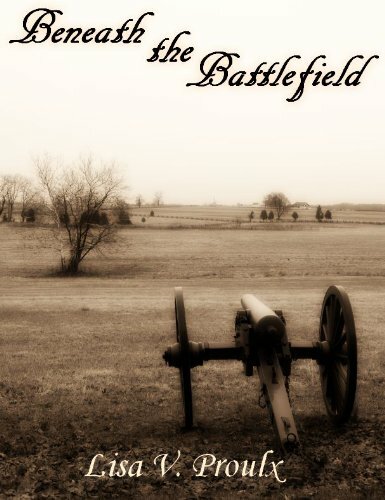 There were a series of famous photographs taken in the immediate aftermath of the Battle of Antietam. Many focused on the carnage in Sunken Lane, aka Bloody Lane. The re-enactors' own ancestors may have been amongst the bodies shown in them. It was this exact location where the men sought to bed down for the night. It seemed like a good idea at the time. Not that they had permission to do this! Antietam National Battlefield is closed at night. But it's hard to police a long, sprawling boundary. It's a simple task for men familiar with the terrain to park their cars, slip over a fence, then make their way to that infamous location. The reality of their morbid endeavor only really struck many of them as they lay there. Suddenly there were chills. Whispers. People turning to their buddies and hissing, "What did you say?" But none of them were speaking. They were all becoming spooked. All of the men heard the moans. They sounded authentic, the groans of the anguished and dying. Or sudden mutterings, appearing to be breathed right into their ears. After the usual screaming at their friends to grow up, or just admit who was joking so inappropriately, they concluded that nobody was. All but one of the re-enactors had enough. They stood one by one and declared that they weren't staying here. It wasn't such a good idea after all. In that balmy night, they were shivering with the cold. They made their way back to their cars, which weren't parked a great distance away. They would see out the remainder of the night sleeping in them. But not all. There was still that one man, who'd rolled his eyes at the cowardliness of his fellows. 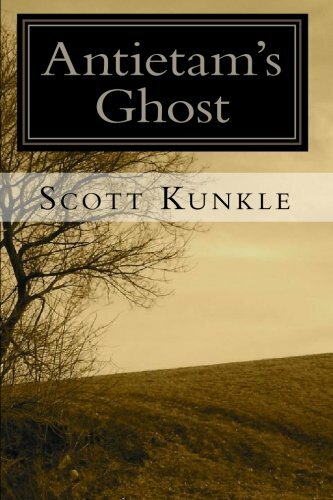 He didn't believe in ghosts. He had heard the mutterings, whispers, moans, groans and all of the rest, but he was convinced that one of their party was having a laugh. He didn't scare easily, and to prove it, he'd sleep in Sunken Lane all alone. It was later when those back in the car-park heard the scream. it was desperate and blood-curdling enough to have them all scrambling from their vehicles. Their friend was obviously in deep trouble. They ran back out onto the battlefield, hurtling towards Bloody Lane. They didn't need to race all of the way. Stumbling through the darkness, he was fleeing towards them. There were tears and trembling, his whole bravado smashed. It took ten minutes for them even to get a word out of him. He was so scared and that scared them. Tough, hardy dudes, who were now thoroughly spooked. The story tumbled out in stages. He'd been lying here. Eyes closed, listening to the sounds which had seen off his fellow Confederate re-enactors. He'd been trying to ascertain what they were. Had someone crept back to try and frighten him? He refused to rise to the bait. Maybe it was the wind. 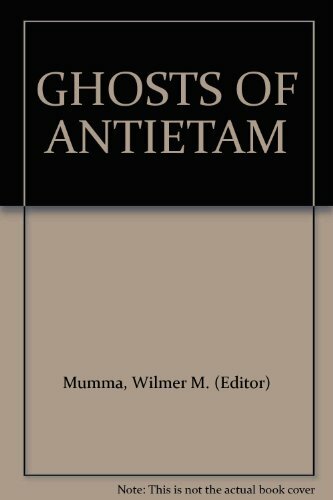 In truth, it was difficult to sleep, but that was because of the situation - it was exciting in its unusual aspect - rather than any real thought of ghosts. Then the chill had grown so much deeper. He'd shivered lying there and some prickling of instinct had caused him to half-open his eyes. There was an arm. Right next to him, a bloodied arm in the same uniform as himself. He'd opened his eyes fully, assuming a friend had sneaked back to lie beside him. The arm was attached to no body. He went to sit up, but the arm moved suddenly, pressing hard against his chest, pinning him to the ground. He'd screamed loudly enough to rouse his friends over in the car-park. it had felt like a struggle to the death rising from that lane. He'd shoved away the disembodied hand with all his might, then rushed out of the lane and across the field. That's when he'd met them all again. His friends had no doubt that he'd experienced something. They'd never seen him break down like this. Those present swore there was a ghostly soldier there. The possible sighting begins at 26 seconds. 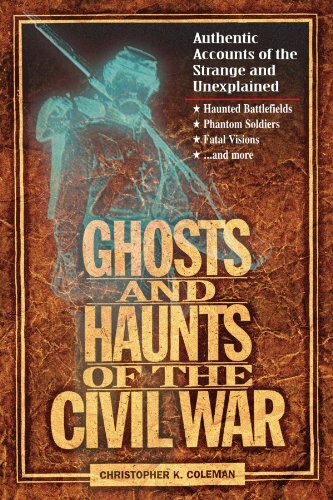 Buy these true ghost books to learn what's been seen and what still wanders on the blood-soaked battlefields of the US Civil War. 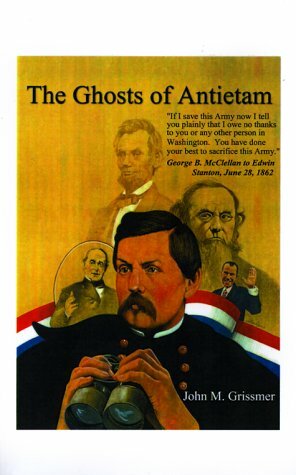 Visitors have encountered two female ghosts haunting Antietam. It's believed that both women suffered heart-break in the battle there. 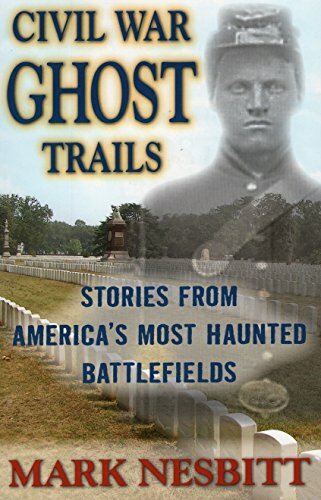 Think of American Civil War ghosts and it's natural to picture apparitions in the blue or grey uniforms of the soldiers. That isn't always the case. Sometimes they are female. All women were supposed to stay far away from the fighting. Some rebelled, of course. Others had no choice in the matter. The war had come to them and their lives would be shattered by all that ensued. One such example is Elizabeth Pry, the wife of prosperous farmer Philip Pry. Their beautiful home was in the middle of their 140 acres of fertile land. Located on a ridge, they could see for miles in a panoramic view, all along the valley to the distant mountains. 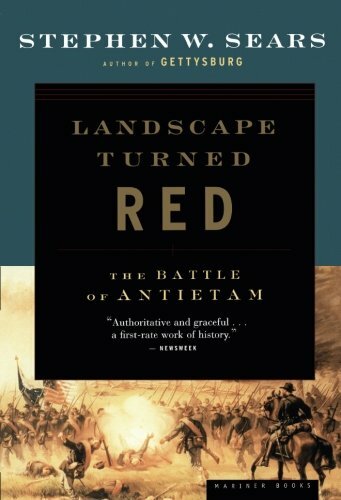 This turned into a distinct disadvantage, when that meant they were smack bang in the center of the Battle of Antietam. Major General George B. McClellan immediately seized the Pry house as his headquarters. The movements of the whole Union army at the Battle of Antietam (and for a fortnight afterwards) were orchestrated from here. Days later, President Lincoln arrived and, in the furious meeting that followed, he stripped McClellan of control of the Federal forces. For Philip and Elizabeth Pry, watching on, it could possibly have been a great honor to have such illustrious people as their guests. But such a view would not take into consideration what had happened to their home and property. The Philip Pry Farm was the location of 13 hours' intense slaughter. Tens of thousands of bodies were strewn across the farmland. Cannon roared. Foundations shook. This was harvest time. Crops burned in the fields, haystacks and barns were destroyed. The damage was such that it took five years for the scorched earth outside to recover from the battle. The Prys were eye-witnesses to it all. They never once left their home. Moreover, their home was designated a field hospital. Every ground floor room saw field surgeons sawing the limbs off conscious and screaming men. 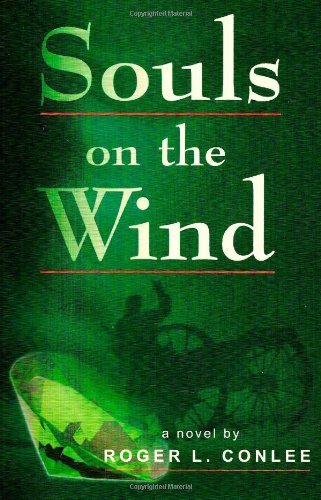 Arms and legs were simply thrown out of the window, until the piles reached the sill. Then a detachment of soldiers would collect and cart them away for burning. Every first floor room became a ward. Dying and maimed men sobbed, screamed or stared in shock. The fine fittings and carpet would have been no comfort. When they eventually all left, Mrs Pry entered her ravaged and stained music room to discover three corpses underneath her piano. They had been missed in the burial detail. While Philip Pry angrily put in numerous compensation claims (many of which were disputed by the government and denied, leaving his family financially ruined), Elizabeth Pry appears to have had some kind of nervous breakdown. Twelve years after the Battle of Antietam, Philip simply sold his home and land (mostly to the government) and took his wife to Tennessee. It was hoped that she would find some peace there. She didn't. Her descendants would later say that Elizabeth Pry died of a broken heart, after all she experienced in September 1862. She pined desperately for home. Not the shattered place filled with nightmarish memories, but the home she had carefully built and nurtured for the twenty years before. 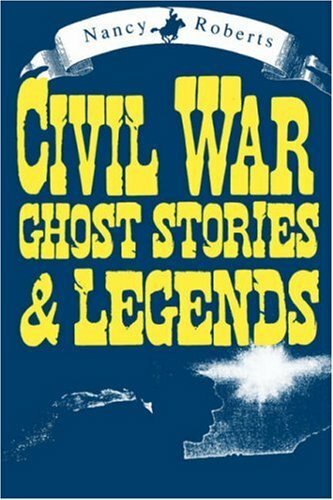 As for ghosts, there were stories of course. People recorded inexplicable noises in the Pry House, but nothing really to write home about until it was half destroyed again. In 1976, there was a fire in the house. A third of it was gutted before the flames could be extinguished. As it was owned by the Antietam National Battlefield, funding was soon forthcoming to rebuild the damaged areas. That's when the sightings really began in earnest. The first construction team downed tools and refused to return. One of the workmen had been interrupted in his job by an apparition of a woman. She was wearing 19th century clothes and she'd stood staring at him. A later group of construction workers had all seen the lady glowering out of an upper floor window. This was disconcerting, as no-one was supposed to be in the building. Assuming that it was a lost tourist or someone otherwise breaking in, they had gone to have a word. Not only was she not in that room, but neither was the floor. It was one of those gutted in the fire. When Antietam National Battlefield Rangers held a meeting in the Pry House, one of them brought his wife along. She went exploring, while he chatted with his colleagues. Later she asked him who the 'woman in the long dress' was, who'd passed her on the staircase. There was no woman re-enacting there that day. The presumed ghost of Elizabeth Pry has been seen numerous times since, or else heard pacing the floorboards and walking up and down the stairs. It seems that she will not let her home be damaged again. Nor is she alone. Amongst the wounded and dying after the Battle of Antietam, there was General Israel B. Richardson. He took a long time to die in one of the bedrooms there, screaming with the agony of gut wounds. His wife, Fanny Richardson, was sent for and tended him for six months, as a 'guest' of the Pry family. He eventually did die there and she escorted his body home. But it seems that the emotional strain of it all remains. Fanny Richardson's ghost has also been spotted sitting in the room where she cared for her husband. Do American Civil War soldiers still fight on South Mountain? Their ghosts have been seen, felt and heard upon those once treacherous slopes. Chickamauga Battlefield is the scene of some of the most celebrated ghost stories from the American Civil War. They include a spectral monster. Awww, thank you! This is the first time that I've been complimented on my choice of images. I'm thrilled to bits that you're pinning my articles too. Yay! Thanks for that. Frank - Some stories will never make it past the sceptics. Even I looked at the re-enactors one and wondered how much alcohol and joking around was involved in the making of this story. The imagination can do terrible things to people left alone, and maybe he did fall asleep and was dreaming the arm. It's not like he didn't know the history. But reports like that of the schoolboys give much more pause. They had no idea what they were saying. So much emotion is played out in those locations. Desperation, anger, fear, horror and inevitably the dying pain and regrets. No wonder so much residual energy remains in those circumstances. This kind of phenomenon often occurs at battlefields. Sometimes You get visual re-enactments, whereas at others the sites are haunted. One of the signs by which we distinguish hallucinations from genuine experiences is that there is some consistency in the phenomenon. Well, if the phenomenon is consistent across several locations, we should take it seriously, but sceptics won't.Or daren't! That's chilling... and fascinating! Great stories! 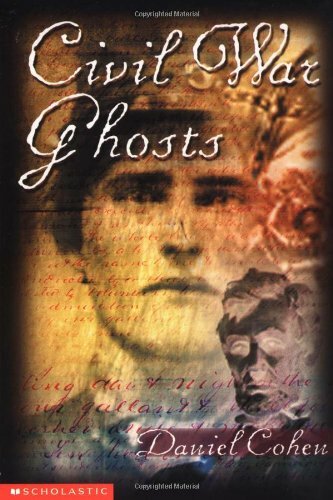 I really should have written about the history before I veered off into the ghost stories! 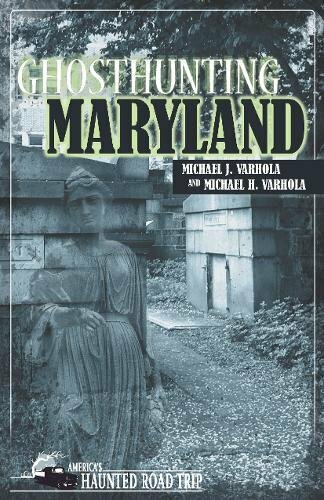 My love of history is partially why I'm fascinated by ghost stories. You get to actually view the past. Ok, it's the dodgy/horrific/terrifying parts, but the closest we're going to get without a time machine. I thought the schoolboys one was excellent. They didn't even know that they were reporting something supernatural! This is a wonderfully interesting page to read. 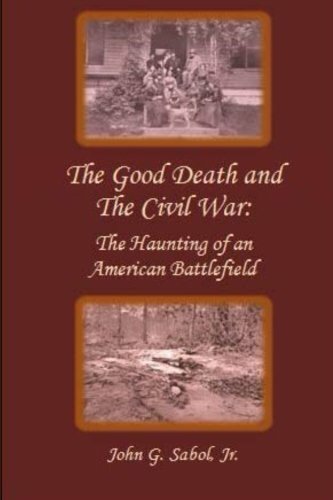 I don't know anything about this battle in the Civil War, but your stories of the various haunts is intriguing. I like the one about the school boys... creepy!